All of this hidden glory was under the bottom portion of the box! (2) Ningxia samples, Thieves household cleaner sample, Stress Away, (bonus bottle) Lemon Vitality, roll-on top, sample bottles (to share with friends), and cards to send with those sample bottles! There were some booklets on other products and the purpose for each oil. Everything was so beautifully packaged, I felt like a friend sent me a care package! So, first thing I set up my diffuser, which was really easy. Just add water to the reservoir and 8-10 drops of essential oil. Lavender was first on my list of things to try because which Mom of 3 little boys doesn’t need to relax, right? And to my surprise, not only did the diffuser run much longer than expected, but something amazing happened that night. I usually struggle to get the kids to bed when my husband is at work. Sometimes I spend over an hour from the time they brush teeth to this Momma Bear finally sitting on the couch. Instead, after about an hour of enjoying the lavender mist, they walked right up to bed and each laid down without a fight. The next day, I knew I had to try something new to diffuse or I’d run out of lavender too soon. My oil friends had talked about the use of peppermint. So, I thought, let’s try that! In the early morning I added 8 drops of peppermint to the diffuser and it really started to perk me up. (Not like my morning coffee, but in a more subtle, longer-lasting way). I’m still learning about all of the different uses and mixtures of the oils, but so far, stress-relief has been the biggest change in our home with the essential oils. Not to mention, I’ve needed less coffee and less naps. My favorite part of having essential oils in my home is knowing we won’t suffer from side effects because the oils replace harsh chemicals (and are just as effective). The coolest part is essential oils go all the way back to Jesus’ time. It’s so neat to see old, traditional ways becoming trendy again. In an ever-changing world it is nice to go back to our roots. 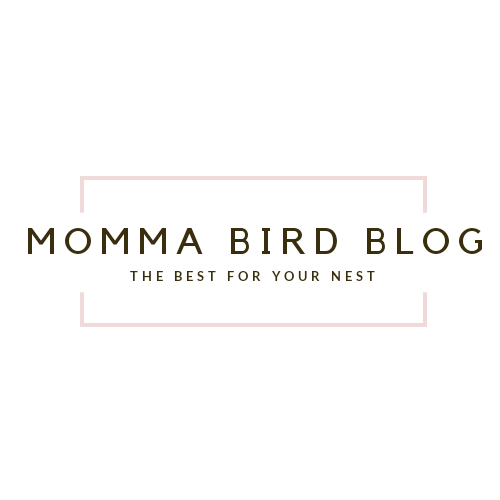 *Momma Bird Blog owns the right to all of the photos in this post. Do not copy without permission. Being new to oils, I just followed someone else’ advice. How many is normal to use? Hi, Anna. I’ve enjoyed reading your blog. I’m actually starting to get into essential oils. I read one of your older posted about kids praying when they hear sirens and it touched my heart. I have nominated you for a Liebster Award because I wanted to share your blog with others. If you decide to accept the nomination, please check out my blog for instructions.